The Winelands offer the ultimate holiday sensation, filled with scenic landscapes and historical monuments an consists of the main Winelands towns of Stellenbosch, Franschhoek, Paarl and Wellington - with Worcestor and Robertson a little further out. Stellenbosch is one of South Africa’s most popular destinations for lovers of wine and food. The historic town, the second oldest in South Africa, developed from a colony of settlers to whom land had been granted on the bank of the Eerste River. The name Stellenbosch was given by Governor Simon van der Stel who in 1697 encamped there with his entourage. The avenues of oaks are lined with Cape Dutch, Georgian and modern Victorian architecture of which many are now national monuments. Over the years Stellenbosch has grown into a vast academic and cultural centre. Its internationally acclaimed university draws thousands of students annually and the flourishing wine industry takes visitors along the wine route to celebrated cellars. One of these cellars is undoubtedly the Rustenberg winery with its classic Cape Dutch buildings and a tradition of winemaking that spans three centuries. Things to do in and around Stellenbosch: - Sidewalk bistros, popular restaurants, pubs and shops - Butterfly World, Drakenstein Lion Park and Le Bonheur Crocodile Farm in the Klapmuts area - Stellenbosch Botanical Garden, Village Museum, Oom Samie se Winkel, Toy and Miniature Museum - Wine tasting at one of the many wine estates. Paarl is the third oldest European Settlement in South Africa. Today it is home to a very culturally diverse community, the product of its unique history. The people of Paarl are descendants of the Khoisan, African-, and Eastern slaves, Dutch, French Huguenots, Jewish immigrants from Eastern Europe, Italian Prisoners of War, and Xhosa migrant labourers. In 1657, Abraham Gabbema led an expedition into the Berg River Valley. On the day that they arrived in the Valley, the granite boulders, towards the west side of our town, glistened in the sun after some showers. This inspired Gabbema to promptly name this mountain “the Diamond and Pearl Mountain” from which the name Paarl was later derived. In 1688, the French Huguenots arrived in the Cape and some of them were given property in the Drakenstein area. One of their most important influences was of course their knowledge of the wine industry. Today the headquarters of the South African wine industry, the KWV, is to be found in Paarl. It is situated on one of the earliest farms (La Concorde, as it is known today) to be granted by Governor Simon van der Stel. Things to Do in and around Paarl: - Visit the Afrikaans Language Monument which was erected in 1975 to honour the Afrikaans Language; sample some of our locally produced, virgin olive oils - a gift from the fertile soil of this valley or see how Ikhwezi manage to empower previously unemployed women and children. Or when entering town, stop at the Strooidak Church - one of the oldest and most historic churches in South Africa and then proceed to Paarl Museum for an interesting overview of Paarl's colourful history. - Paarl Museum - Butterfly World is the largest butterfly park in Africa, where exotic butterflies fly freely in a covered garden. - Incanda Leather Furniture - Klaus Schnack Master Goldsmith - Off The Wall Contemporary Gallery - Red Hot Glass Studio - David Jackson and Liz Lacey`s studio & glass gallery is beautifully situated amongst vineyards on Seidelberg Wine Estate. Interior artifacts from perfume bottles to vases, bowls, platters to sculptural work to large/ small commissioned corporate work. - Le Bonheur Crocodile Farm - Situated in the scenic Paarl Winelands where over 200 farm bred Nile crocodiles are on view. Visitors can sample homemade crocodile pies or browse the curio shop, boasting an extensive selection of articles fashioned from the exclusive Nile Crocodile leather. 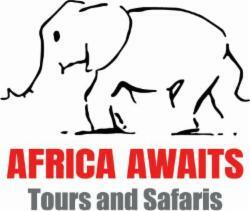 Open 7 days a week and offering guided tours every half hour. - Chippas Restaurant - Experience township culture and enjoy traditional African meals. - Main Street Coffee Roasters Main Street Coffee Roasters is located in the heart of Paarl and forms part of a community of trendy shops in the newly developed Dwars-in-die-Weg lifestyle centre. Wellington, steeped in history and tradition, has a magical atmosphere and myriad of attractions. The first inhabitants of the Berg River Valley go back as far as the Stone Age. This period stretches over thousands of years to the San and Khoi groups of the 18th & 19th century. Artifacts from these early ages have been found around the Bainskloof Mountains and hills surrounding Wellington and can be seen in the local museum. Originally known as Limiet Valley (border or frontier valley), the area became known as Val Du Charron or Wagenmakersvallei (Valley of the Wagonmaker) towards the end of the 17th century when the French Huguenots settled here. After the eventual establishment of the town in 1840, the name was changed to Wellington in honour of the Duke of Wellington, renowned soldier and conqueror of Napoleon at the Battle of Waterloo. Wellington is well known for its educational institutions, which stemmed from Scottish and American influence and was initiated by Dr. Andrew Murray. He was assisted by various people of American origin, followed by Afrikaans Language pioneers. Apart from fine cuisine and accommodation, visitors to the town can discover a magnificent legacy of historic buildings and architectural treasures. For lovers of the outdoors, Wellington offers fynbos rich hiking trails, horse riding, mountain biking or visits to some of the cellars. - Wellington Museum - The Dutch Reformed Church - Anglo-Boer War Block House - Old Huguenot Seminary & College - Murray, Cummings, Bliss and Goodnow Hall all represent unique architectural styles that link up with the educational institutions established in Wellington's early stages of development. - Stucki School - Coronation Arch & Victoria park - Lady Loch Steel bridge - The very first all steel bridge built in South Africa and is still in use today. - Old Granny's House - Cummings House (1896) - Wellington is the biggest supplier of vine cuttings stokkies) to the industry in South Africa and has more than 30 of the 54 registered stokkies nurseries, supplying more then 90% of the South African market. - Waterblommetjies is a traditional South African delicacy with season starting in April and ending in October. - Limietberg Reserve offers several hiking trails on which a number of interesting historical features may be seen while hiking, including Bushman paintings, a disused manganese mine, the original toll road from Franschhoek to Villiersdorp known as Catspad, and a cross erected by Italian prisoners of war. - In the Bain's Kloof Pass, graves can be seen of convicts who helped to build the road, while there was an old prison at the Tweede Tol campsite. Various mammals occur, including dassie, klipspringer, baboon and the occasional caracal and leopard.